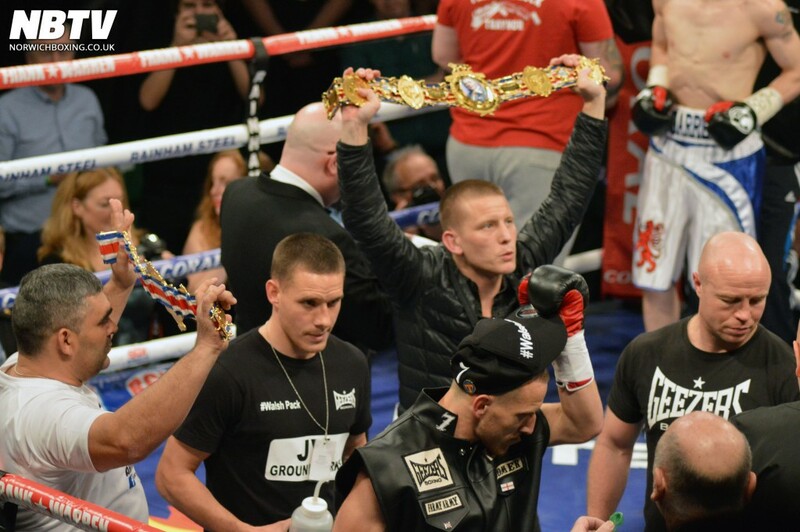 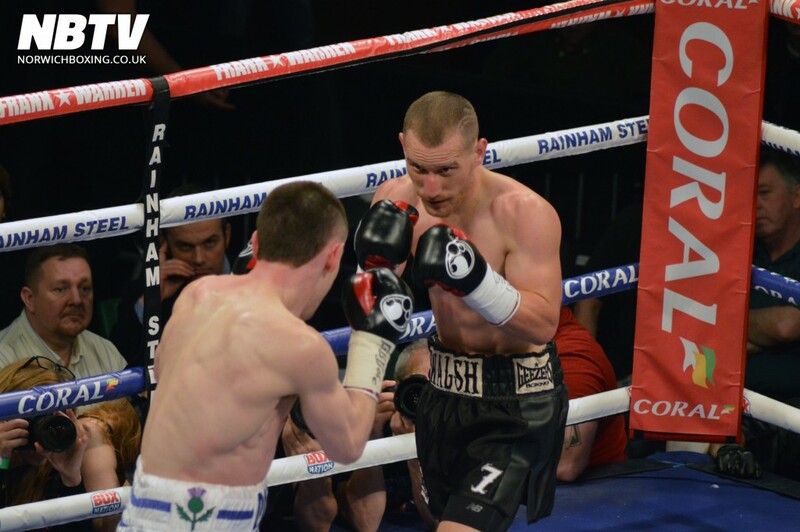 Pictures of Ryan Walsh defending his British title against Darren Traynor at York Hall on 22nd January 2016. 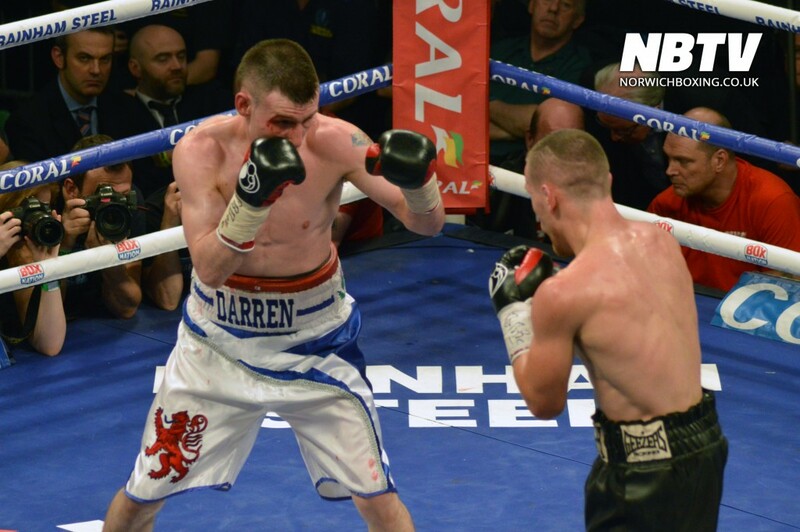 Ryan Walsh knocked down Darren Traynor in the 5th round forcing the referee to call an end to the fight. 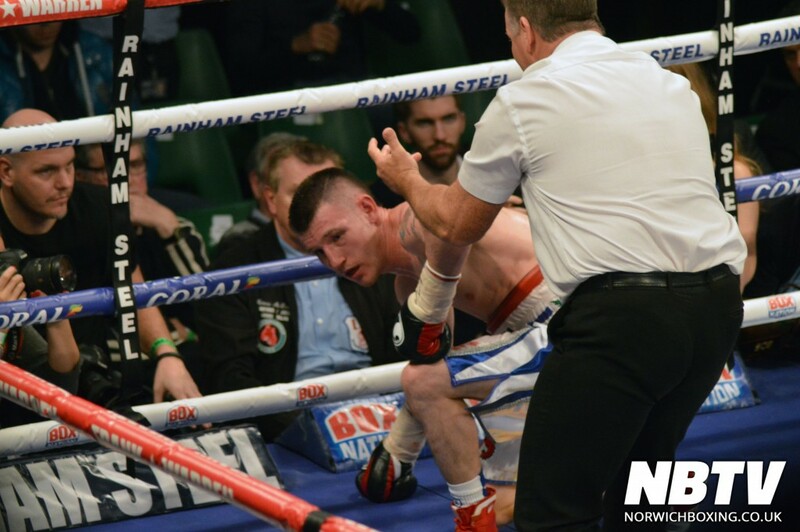 Walsh boxed well and was deserving of the win despite an all-out brave performance from Traynor.